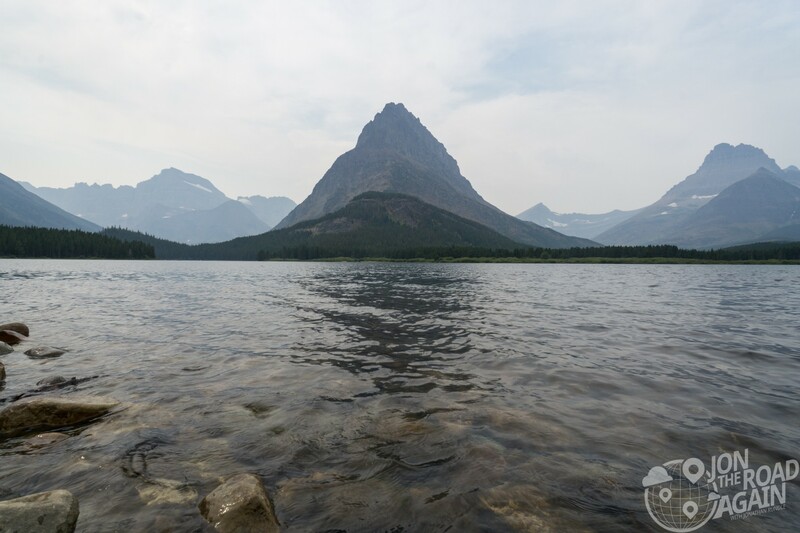 Completed in just one year on July 4, 1914, Many Glacier Hotel is a National Historic Landmark located on the shores of Swiftcurrent Lake. 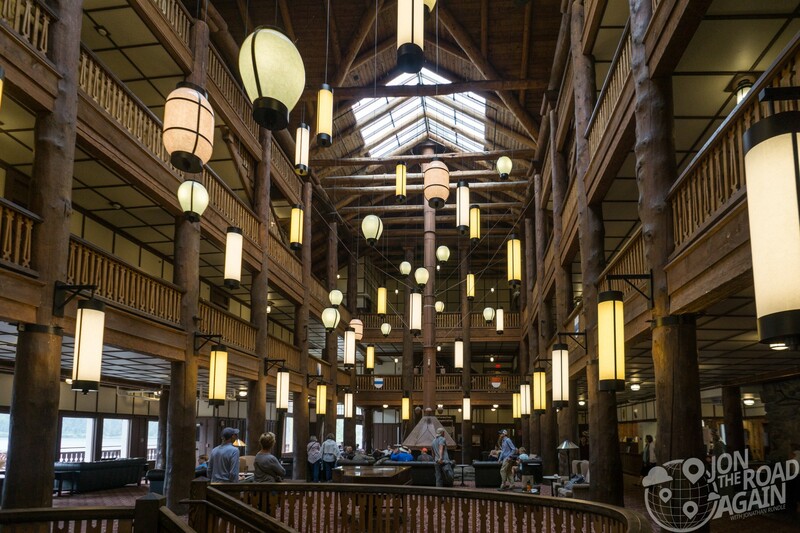 It is the crown jewel of Glacier’s Swiss-style Great Northern Railway Buildings. This morning I left Whitefish for Many Glacier Hotel, which means I get to blast through Going to the Sun Road again! Once we’re through the park, it’s up US 89 and then out the last 11 miles along a bumpy little roller coaster road known as Route 3. I overheard someone in the park ask a ranger “How is the road to Many Glacier?” as if they should be concerned. This, in turn forced me to wonder if I should be concerned. Well, no, you shouldn’t be concerned. 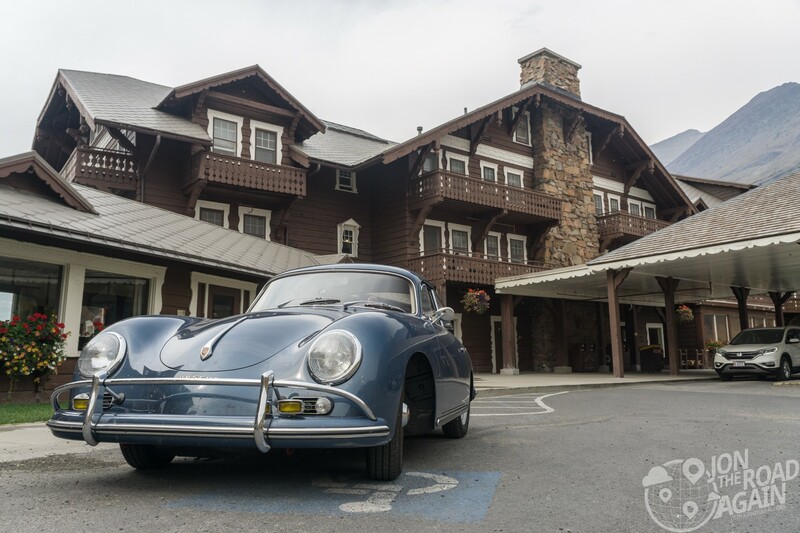 This beautiful Porsche clearly had no problem with the road. 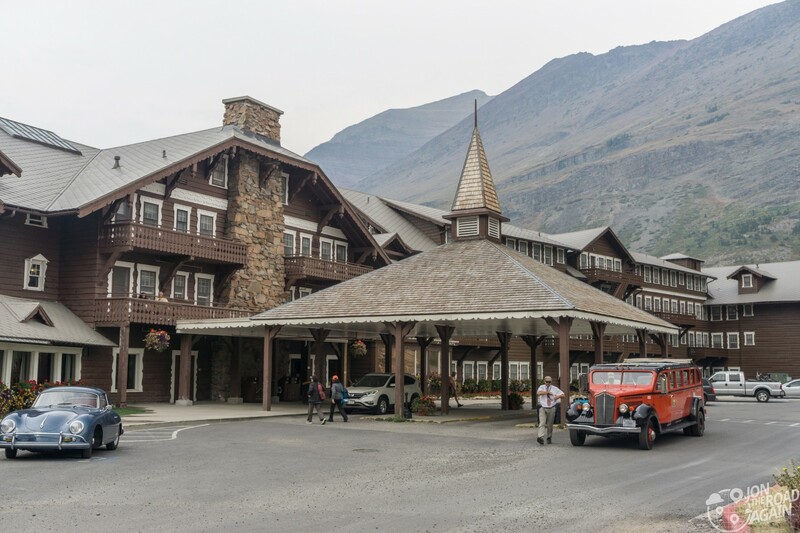 The hotel is a true sister property of the Glacier Park Hotel, which is just outside the park boundary in West Glacier. Both properties (as well as many other structures throughout the park) were built to attract tourism to the Glacier Park Area by Louis Hill of Great Northern Railway. 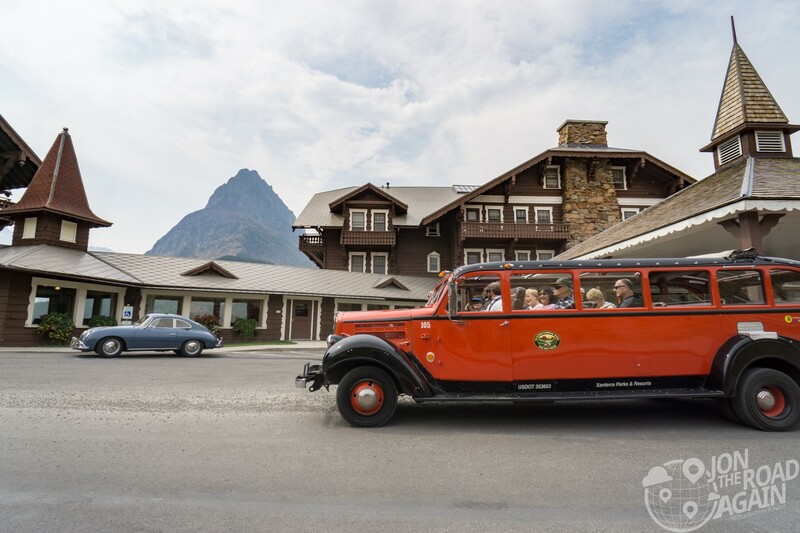 They also built the Prince of Wales Hotel in Waterton Lakes National Park. 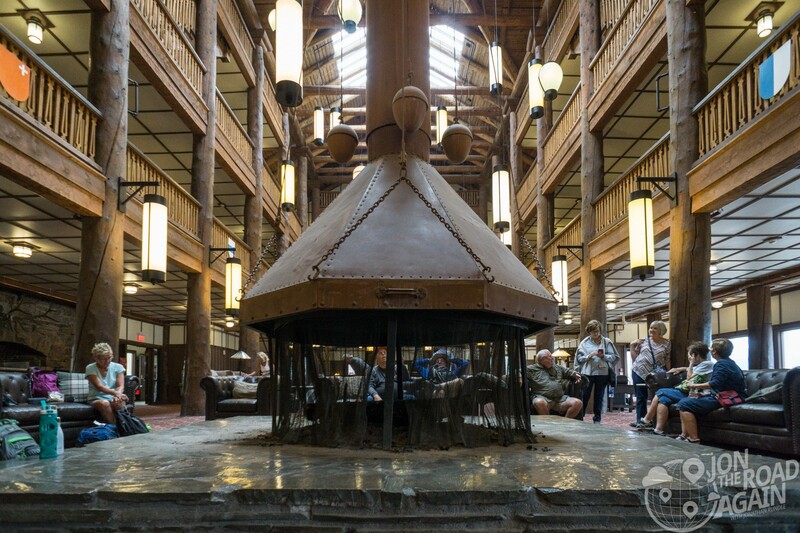 They did not build the copy-cat Lake McDonald Lodge. 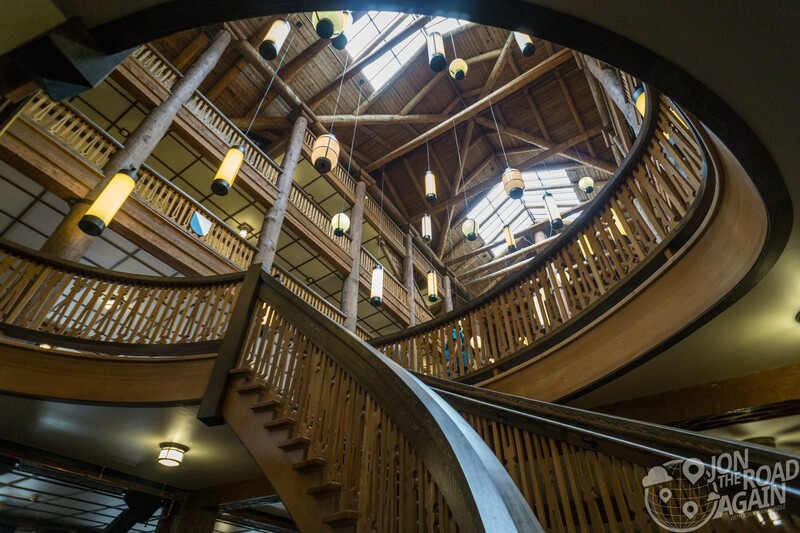 Stepping inside, and no longer overshadowed by the natural surroundings, the hotel is given the chance to impress. Today’s decor is a far cry from how it looked at opening. The hotel has fully embraced a rustic elegance motif and have removed all the cattle skulls and, as promotional material at the time put it, “oriental” imagery from those days. I can’t imagine those themes fitting together. I take a peek into the restaurant before stepping outside. It’s called the Ptarmigan Dining Room. 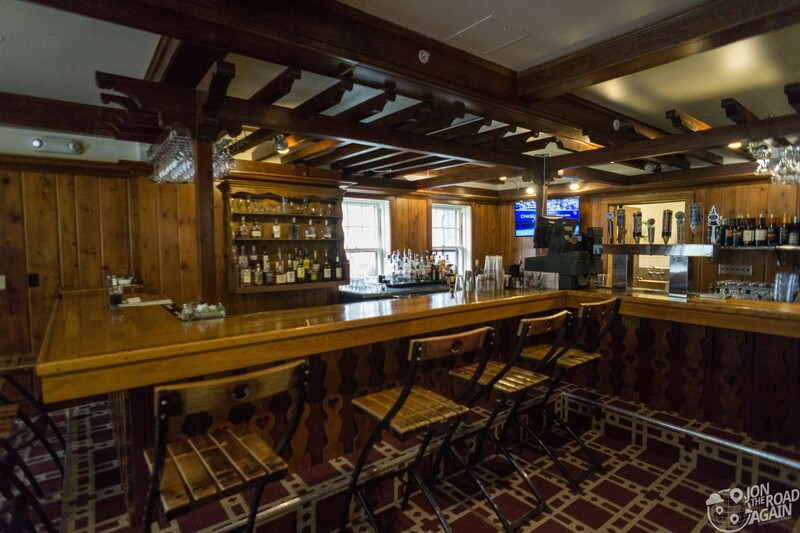 No reservations here; it’s first come, first served. Clearly, not a problem at the end of the season. I’m a simple man; I grabbed a quick burger and beer (and watched a little tennis) in the Swiss Lounge. Unlike it’s sister (from another Mister) Lake McDonald Lodge, the rear really is the rear of the building. From here, you get a clear sense of the chalet style the builders were going for. What would a lakefront Swiss lodge be without it’s lake? 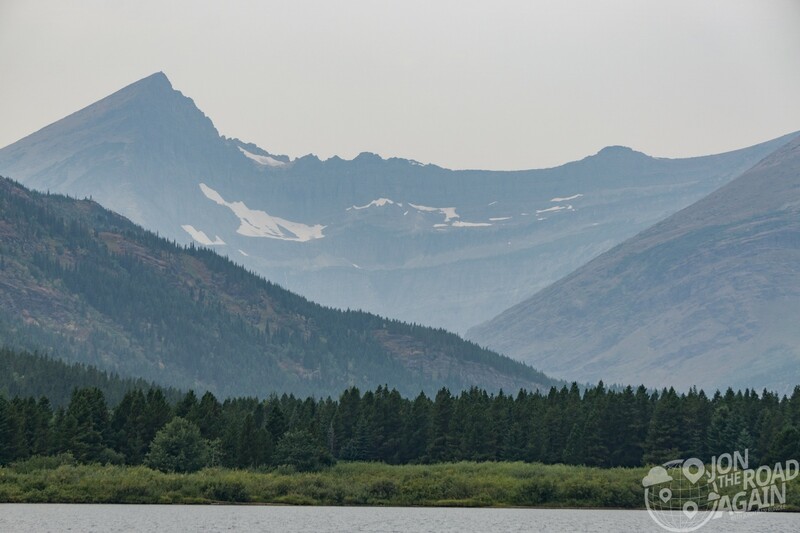 Swiftcurrent Lake is surrounded by a number of impressive peaks and glaciers, all visible from the deck of your room at Many Glacier Hotel. The main peak in the middle is Grinnell Point, standing at 7,201 ft tall. To the left are Mt. Gould and Gem Glacier (which can be spotted in the center of this photo). The glaciers in the park are diminishing. The Grinnell Glacier near here has retreated 45% since 1966. There may come a day when the Gem Glacier is no more. 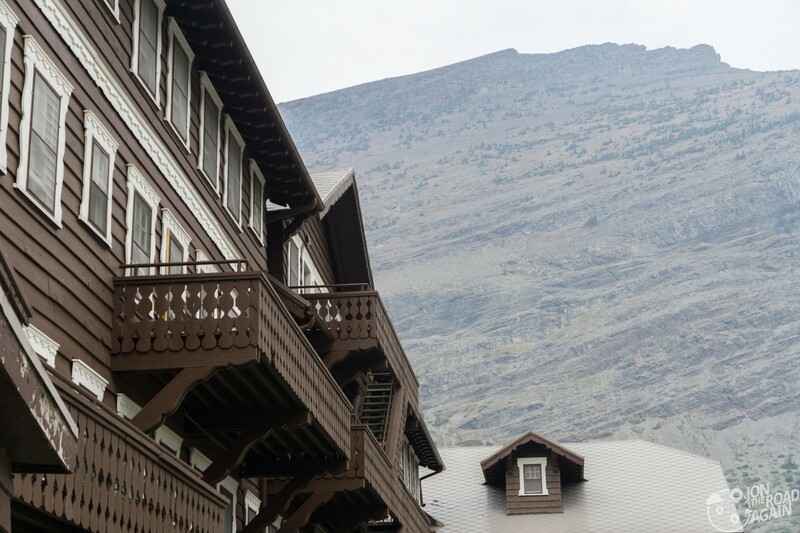 A lot of trails start here at Many Glacier Hotel. 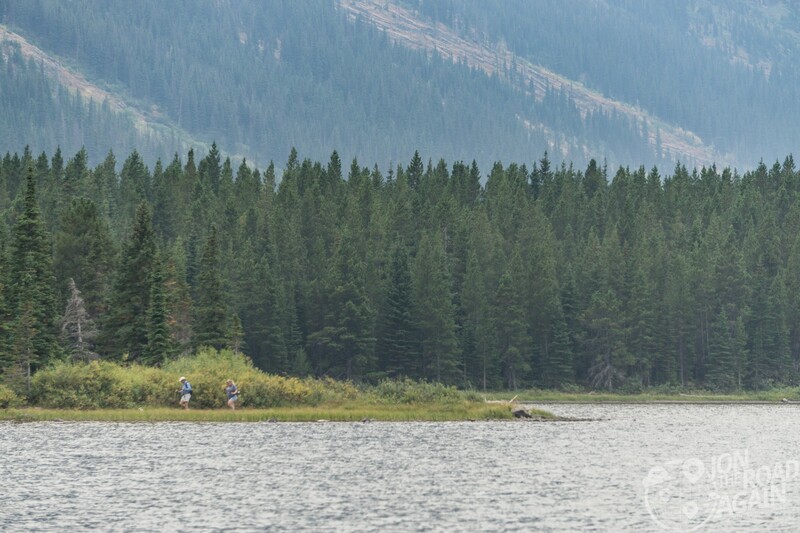 These two are probably taking the lake loop or are perhaps coming back from the hike to Grinnell Glacier. Like the folks taking this Red Bus Tour, I’m off to my next stop. 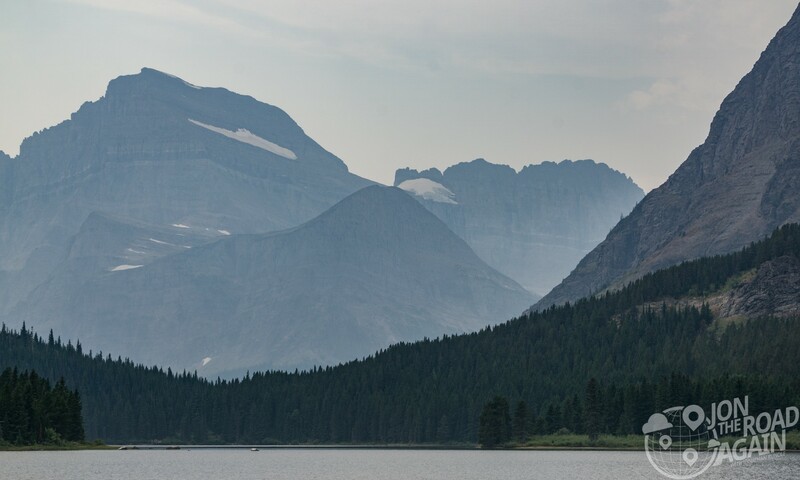 Except I’m not heading back to another spot within Glacier National Park, I’m heading north to the Canadian Border Crossing and Waterton Lakes National Park. 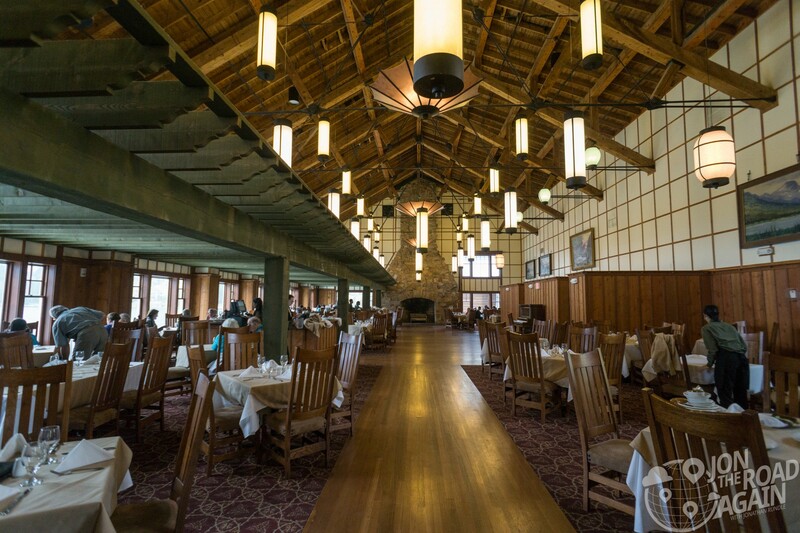 Many Glacier Hotel, like Lake McDonald Lodge, are your only options in Glacier National Park. The accommodations don’t get any better location-wise. But while the hotels are historic and beautiful, the 214 rooms aren’t luxurious. No TV and no A/C but each room does have a private bathroom. Knowing you’re in one of the most beautiful places on earth in one of the most beautiful structures in the most beautiful places on earth should do it for you. Book a room online as far in advance as you can.